NOTICE: Activation key must be used on a valid Steam account. Requires internet connection. 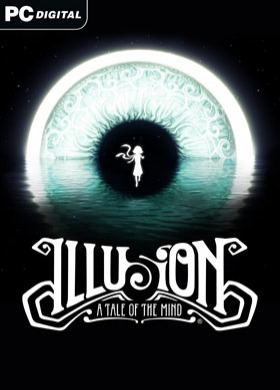 About the gameIllusion is a puzzle exploration game set in the ambience of the early 1920’s Parisian cabaret. Step into the shoes of a young girl named Emma and live her adventures as she is trapped inside the mind of a mad man. Embark on her journey through the mind’s-eye of her captors, living in… a fractured world of old memories and festering wounds, that paradoxically reveals itself to be also a place of great beauty and intrigue.Embrace the Illusion! Key Features A sinister and touching story Breath-taking mind’s-eye levels Beauty and death melded via surrealist inspired art Dark tale scarred by the Great War Taste the horror of war and fragility of life System Requirements Windows - Minimum Processor: AMD or Intel Dual Core Processor 2.9GHz Memory: 4 GB Graphics: GeForce GT 640/Radeon HD 7750 Disk Space: 3 GB © Developed by Frima Studio Inc. and Groupe PVP Inc. All rights reserved. Published 2018 by Koch Media GmbH. Ravenscourt is a division of Koch Media GmbH, Austria. Ravenscourt and its respective logos are trademarks of Koch Media GmbH.